Thanking your customers for buying your goods or services provides the ideal opportunity to remind them what you do. 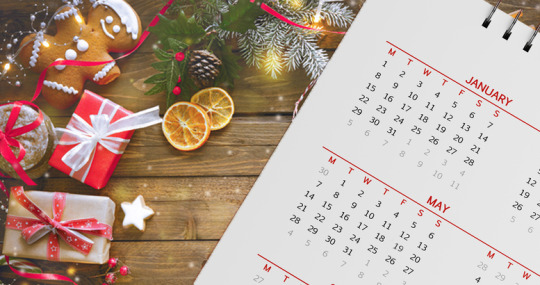 As well as creating a warm feeling, sending them a branded gift or perhaps a calendar or jotter pad will allow you to reinforce your brand messaging, and if it’s something that ticks those two all-important boxes – useful and beautiful – they will hopefully keep it to hand all year round. You may not have had any business from them for a few months or perhaps longer, but sending your customers a little thank-you gift at Christmas allows you to keep the relationship alive in a way that’s far more subtle than calling them to see if they want to place a new order. It’s more appropriate for the time of year too. When was the last time one of your suppliers simply wrote to thank you for your custom? We know that brand loyalty is a personal thing that connects straight to the emotions, yet so many businesses only see the bottom line when thinking about customers. No-one wants to be bombarded with ‘We think you’re wonderful’ messages from their local grocery or hardware store, but the right thing at the right time could work wonders in terms of helping you stand out from the crowd. It could also help encourage those all-important customer reviews and endorsements on social media, strengthening your SEO ranking and business credibility. Do you design gorgeous hand-made jewellery? Take wonderful wedding portrait? Make amazing furniture? A ‘thank you’ card at this time of year doesn’t have to be about Christmas. Why not take the opportunity to create a beautiful mini-portfolio on a keepsake postcard that your customers would love to have on their mantelpiece? Or send your key customers a stunning bouquet along with your personalised gift card? Keep it simple. Instead of just emailing customers with details of your Christmas closure dates and thanking them for their custom this year, create a crisp, sophisticated and beautifully printed thank-you card that will surprise and delight them, just because without them you wouldn’t have a successful business. However you decide to thank your clients, your local Mail Boxes Etc. can help. We can design, print and post your cards and calendars, supply a huge range of branded gifts together with boxes, tags and wrapping, and if you let us have your mailing list we will pick, pack and send them for you too.